Instead of a debate on the merits of President Obama's health care proposals or congressional Democrats' failure to produce a bill that has any chance of bipartisan support, we've been diverted this week by a disgraceful sideshow. 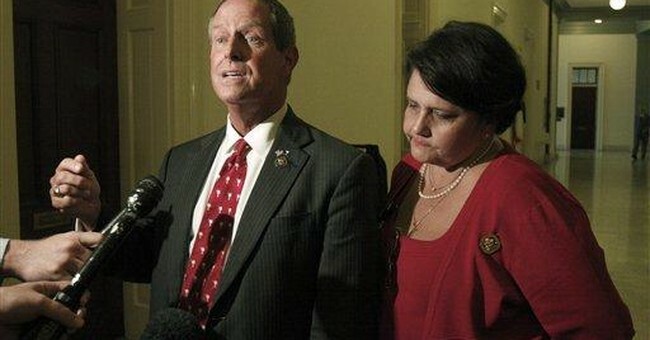 Thanks to pundits and bloggers and political opportunists of all stripes, Rep. Joe Wilson's (R-S.C.) cry "You lie" became the shot heard 'round the world. Now, we have the unpleasant spectacle of the president's most fawning supporters suggesting anyone who opposes his policies must be racist, while the president's opponents defend discourtesy as a badge of honor. Let's take a deep breath and go back to what actually happened in the House chamber when the president addressed a joint session of Congress to promote health care reform. Ironically, President Obama had just finished declaring that critics were telling lies about his health care proposals. He referred to "bogus claims spread by those whose only agenda is to kill reform at any costs," and then said that the best example was "prominent politicians" who had accused the administration of planning to "set up panels of bureaucrats with the power to kill off senior citizens." He then went on to say that the claim was "a lie, plain and simple." I can't remember the last president who called his opponents liars -- at least to their faces. And if Joe Wilson hadn't forgotten he was on the floor of the House of Representatives, not a schoolyard or bar, we might actually have seen criticism of the president for his over-the-top rhetoric, not to mention a focus on the misstatements, exaggerations, and downright dishonesty of much of what the president said that night. Instead, we're all talking about Joe Wilson and whether he's a racist or a hero. In my book, he's neither. Former President Jimmy Carter's assertion that "there's an inherent feeling among many in this country that an African-American should not be president," is a calumny of the first order. Americans are the least racist people in the world -- that's not my judgment; it's born out by every cross-national assessment of racial attitudes taken in the last several decades. Does that mean there are no racists in America? Of course not -- about one in 10 Americans holds some prejudicial views about people of other races, a figure that has remained relatively constant over the last few decades. But, bigotry comes in all colors. In a 2007 Pew Research Center poll, one of the few studies that measured interracial attitudes among minorities as well as whites, about 8 percent of whites harbored animus towards blacks, while 10 percent of blacks held similarly negative views of whites. Calling somebody a racist has become the new McCarthyism -- not much different than calling someone a communist, without any evidence, during the Cold War. It's a dangerous game -- and one that should discredit those who hurl the epithet every bit as much as it harms the one at whom it's aimed. Just as McCarthyism undermined the legitimate fight against actual communists, calling everyone who doesn't agree with an African-American president a racist will make it harder to fight real racism if it occurs. I'm still not willing to let Rep. Wilson totally off the hook, however. He behaved badly and there is no excuse for it. He owed an apology not just to the president -- to whom he did apologize almost immediately -- but to his colleagues as well. I learned long ago that the best way to get beyond a mistake -- and name-calling during a presidential speech certainly qualifies -- is to say you're sorry, without excuses, exceptions or justifications. He should have put the matter to rest with a one-minute speech on the floor of the House the morning after the outburst. Maybe he wouldn't have become a folk hero to those on the right who favor guerilla theater, but if he had apologized to his colleagues for his discourteous behavior, maybe we could have spent the week talking President Obama's misrepresentations instead of Joe Wilson's name-calling.